Meghan Lederman, Registered Psychotherapist, C.Y.C. (Cert. ), M.A. 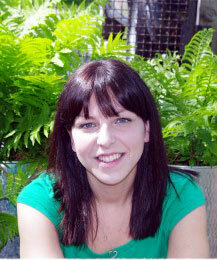 Meghan Lederman is a genuine and warm-hearted counsellor. Meghan helps families create harmony and happiness in their homes, comforts and supports sad and anxious teens, and helps parents feel capable and empowered. Meghan has over 13 years of experience in children’s mental health, and has had the opportunity to work in group homes, treatment centers, psychiatric facilities, crisis counselling centers, domestic violence shelters, and educational centers. After completing her diploma in Child and Youth Counselling, and her degree in Youth Work, Meghan completed her Master of Arts in Counselling Psychology. Meghan has completed training in Cognitive Behavioural Therapy (CBT), Dialectical Behaviour Therapy (DBT), Solution focused brief therapy (SFBT), as well as training in art and play therapy techniques. Meghan is excited to help kids, teens and families overcome the struggles they face. Meghan’s solution-focused and strength-based approach helps families to achieve their goals in direct and meaningful ways. Contact us today to set up an appointment with Meghan. Meghan is pleased to work with a variety of Employee Assistance Program providers, along with the Congregational Assistance Plan with Shalem Mental Health Network and the First Nations and Inuit Health Branch.